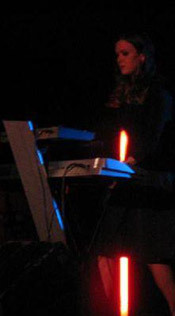 Singer, Robin Moore’s warm, hypnotic vocal style is complimented by his ambient, ethereal guitar melodies while keyboardist / vocalist, Lynsey Moore, contributes intricate, layered keys and unique, textured synthesizer to the mix. Guitarist, Justin Box, mixes classically inspired harmonies with aggressive dissonance. His guitar lines draw comparisons to great guitarists such as Jimmy Page, Dave Gilmore, Johnny Greenwood of Radiohead and Matt Bellamy of Muse, to name a few. 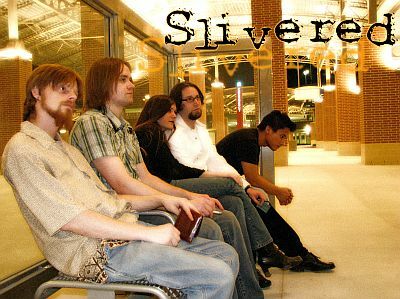 Formed in 2003, Slivered has evolved into one of Texas' most diverse independent bands, defying genres and eluding stereotypes. Generally considered to be on the darker, psychedelic side of alt rock, Slivered has managed to steer clear of the generic, cookie-cutter style of songwriting that has over-saturated the airwaves of major commercial radio stations for far too long. Lynsey also sings backing vocals on many songs, bringing beautiful, haunting, angelic harmonies to Slivered's compositions. 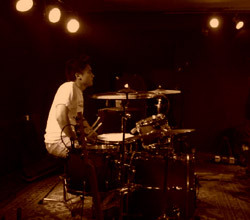 Slivered's rhythm section, bassist, Corrigan Luckey, and drummer, Viet Doan, create the rock-solid foundation that the band is built upon. Together, they dish out generous servings of driving groove, while utilizing unique time signatures, thus creating soundscapes with explosive dynamics where roaring walls of sound mingle with the faintest whispers. 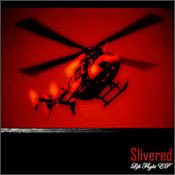 Slivered has a new EP out called Life Flight recorded at Sinkhole Productions Recording Studio. Hear the title song and more at myspace.com/slivered. New Release! Slivered - "Thought You Could Soar"
Read Alexander Dorian's review here. Critics are often left pleasantly baffled when attempting to compare Slivered's sound to that of other bands, but all agree they are a band well worth checking out. HoustonBands.Net features a Houston area band every few weeks. 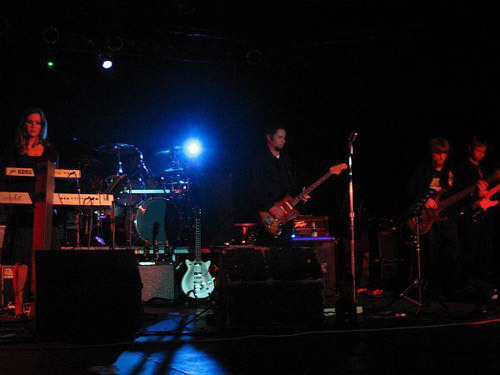 If you would like to see your favorite band featured, email the webmaster. Nominated bands must be have a currently updated official web site with samples of original songs or have current shows listed. Click a band name below to view past feature bands.